With The Philippines’ ‘Wattpad Presents’ a hit for Manila TV5, Canada’s social reading and writing platform announces a television partnership with Universal Cable Productions. “A number of television projects derived from Wattpad content” are to feature content in mysteries and thrillers, teen material, science fiction, action, and general fiction. Wattpad Studios is the company’s recently installed internal division for leveraging the content of Wattpad writers into a widening force of commercial media properties. As Publishing Perspectives announced in May in a Q&A with the unit’s chief Aron Levitz. Ashleigh Gardner, who heads up publishing and other partnerships for Wattpad Studios, spoke earlier this month in Singapore at StoryDrive Asia, noting a precedent for the Universal arrangement in The Philippines, the Wattpad Presents television series made by Manila TV5 there. Publishing Perspectives has had a chance to put a few questions to Dawn Parouse Olmstead, UCP’s executive vice-president in development, about the newly announced partnership. Olmstead is a producer, herself (Prison Break), who was named by NBC Universal’s Jeff Wachtel to her current position in January 2014. In addition to UCP’s work, she oversees the Wilshire Studios unscripted unit. Publishing Perspectives: Is Universal’s interest is in creating a series of romantic comedies like those of The Philippines’ Wattpad Presents? Dawn Olmstead: We don’t have one specific concept we’re looking for from Wattpad. However, we do have several arenas that we’re looking for, including romance, YA, Sci-Fi, and thriller. PP: How important, we asked, is the fact that so many of the 45 million active users of Wattpad monthly are in the millennial (18-34) demographic? PP: And does the fan-fiction element that we find a lot of interest in at Wattpad play into this at all? DO: We are not specifically looking for fan fiction. If we find an amazing one, that’s great. As specified in its news released, UCP’s programming includes “the Emmy and Golden Globe award-winning drama Mr. Robot [as well as] Colony, Playing House, Royal Pains and Suits on USA Network; The Magicians, 12 Monkeys, and Killjoys on Syfy; Girlfriends’ Guide To Divorce on Bravo; The Royals on E! ; and Difficult People on Hulu. In a prepared statement, Wattpad’s Levitz is quoted saying, “We’ve teamed up with Universal Cable Productions to co-produce television content that drives tune-in from Day One. Wattpad data will help spot compelling stories with massive built-in audiences, and fans will influence the development process. NBC Universal has worked with Wattpad in the past, creating brand awareness in 2014 for The Purge franchise by having two Wattpad Stars writers create tales for the platform based on The Purge story world. Native advertising and quotes and video from the film were used in each chapter to highlight the film connection. 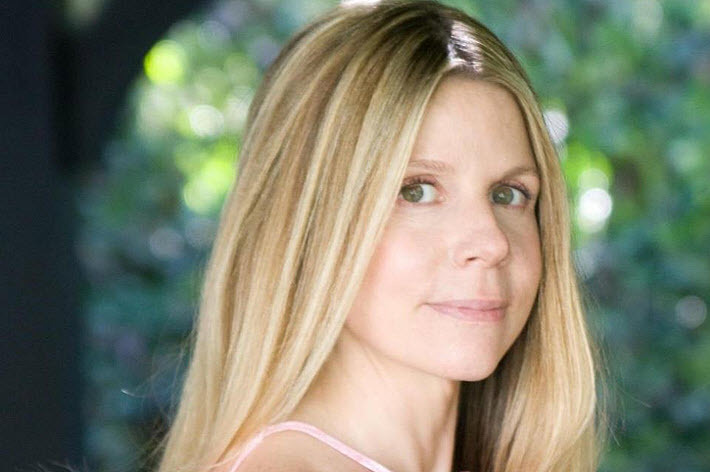 Also last week, it was announced that St. Martin’s Press has acquired the White Stag fantasy trilogy written by Wattpad writer Kara Barbieri, known as Pandean on the platform. St. Martin’s imprint Wednesday Books is expected to publish the trilogy in autumn 2018, according to press materials. The Wattpad Insights metrics used by the company to track writings on the site indicate that Wattpad readers have “spent 6.5 times more hours reading White Stag than they’ve spent reading any of the other top 1,000 fantasy stories” on the platform. 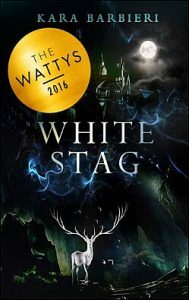 White Stag is part of Barbieri’s Permafrost Series, which has drawn more than 375,000 reads at Wattpad so far. The second book in the trilogy, Goblin King, is being serialized now by the author. Kara Barbieri is 20 and joined Wattpad in October 2015.